State Rep. Bobby Dubose, from the Fort Lauderdale area, moderated speakers from across Broward County, as they praised Runcie's leadership. Speakers talked over the Tuesday morning traffic in Downtown Fort Lauderdale, outside of the Broward Schools Administration building. 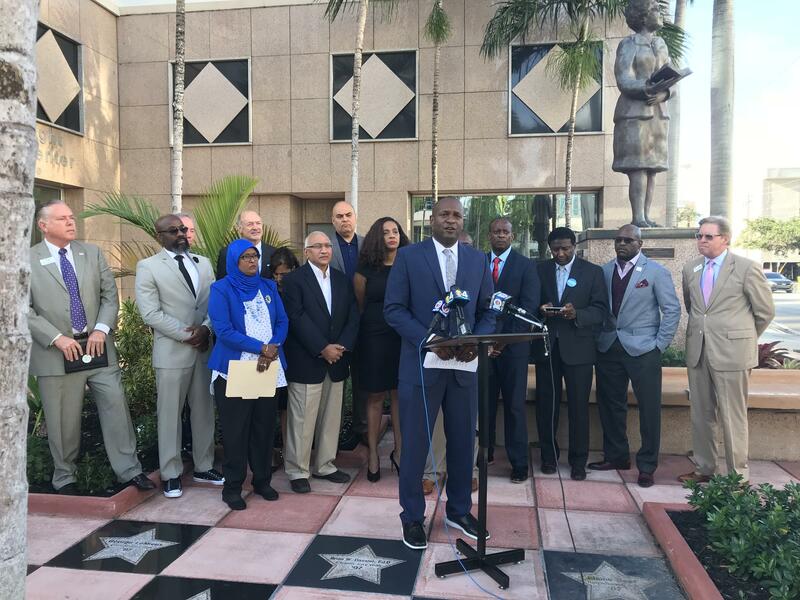 While many of Broward County's black leaders from the school board, county commission, as well as members of Broward Black Elected Officials have praised Runcie's efforts since the Parkland school shooting - non-black leadership also came to show support. 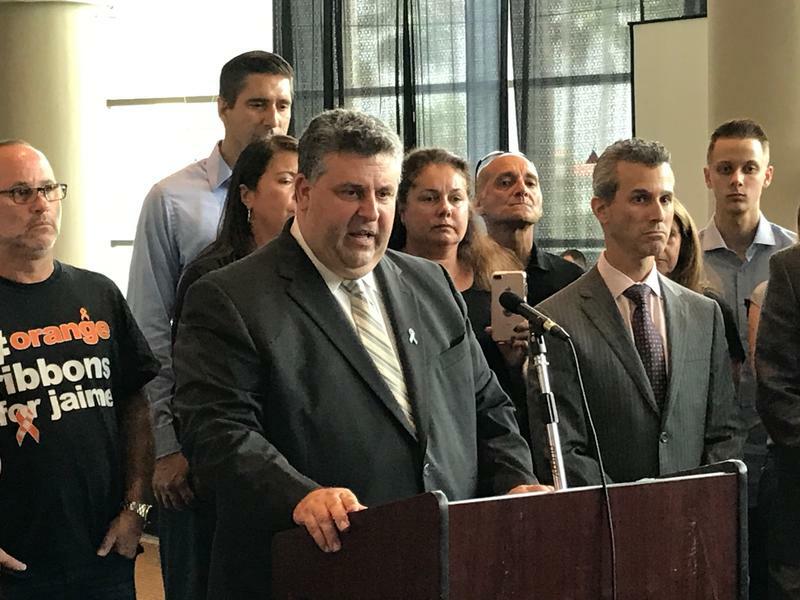 Leaders from economic development agencies like the Greater Fort Lauderdale Alliance, the Broward Workshop and the Muslim Student Council were also present at the press conference. Broward Workshop Chairman, Keith Koenig said that without Runcie Broward Schools could lose progress it's made on having less D and F-rated schools. "If we lose Bob Runcie, the school system across Broward County will go backwards cause they'll be a long search to find another...If you try to find someone with his qualifications, his background, and his skills, you'd be looking for a needle in a haystack," Koenig said. 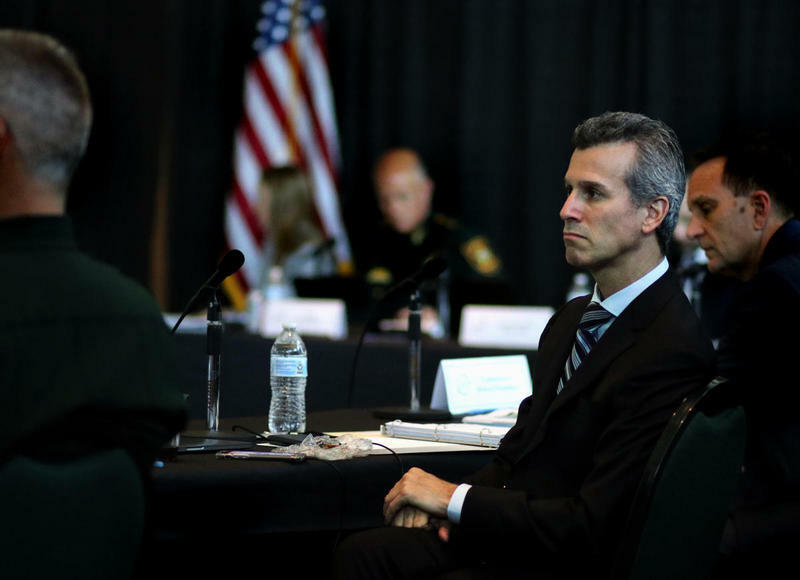 Parents' criticisms of the school board only grew last week, after arguments broke out at a school board meeting over the district's new plan to delay the installation of metal detectors at Stoneman Douglas High School. The campus will have new video surveillance and new fencing. Rosalind Osgood, Broward school board member for District 5, said that despite the controversy surrounding the discipline program called PROMISE - and Runcie's early comments about the confessed shooter's participation in the program - the district needs to focus on other aspects in addition to crime. "It's very important that we continue to show compassion and that we don't lose sight of the issues that we need to address in our community as it relates to regulating guns and mental health," Osgood said. "If we were able to expand the PROMISE program with a mental health component, it would allow us a better opportunity to provide more interventions and support services for kids that have mental health issues." Runcie did not attend the press conference, which was hosted by State Representatives Shevrin Jones as well as Bobby Dubose, from Fort Lauderdale. Dubose introduced each speaker and added that he doesn't believe that changing superintendents now, as a new school year is getting started, would benefit his own children. "We need him right now, it's a critical time," Dubose said. "My kids are in the public school system, it really hits home." Runcie is expected to make several site visits to several Broward schools, including Stoneman Douglas High School, on Wednesday for the first day of the new school year.